“The beauty of the book, the art of book making itself, has become the next task, the new discipline, like learning to fly in order to serve far-flung communities of artists. The first folio, limited edition, is hand-bound and each will bare the mark of the maker.” Merv Moriarty. “Art is important and hard work. To achieve excellence takes commitment from educators and students alike. Merv Moriarty’s way is not easy yet in the end, is profoundly rewarding.” Prue Acton. Merv Moriarty says when he opened “the flying art school”, people laughed at him. He says when he contacted Wendy Taylor from the Canberra Bookbinder’s Guild about hand-making 230 books as a first folio of the Eye’s Mind the reaction was similar. “I made an inquiry and Wendy wrote back and a conversation started. I said ‘This is probably a crazy thing to do’ and she said, ‘Yes it is, absolutely mad, you shouldn’t have started but seeing as you have, isn’t it exciting?’. 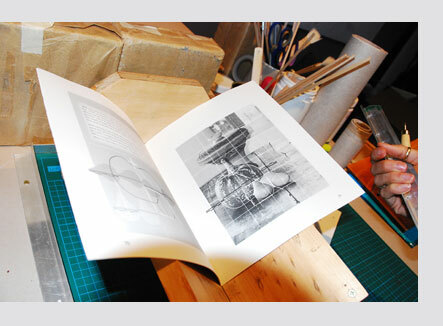 One of the first skills Wendy Taylor taught Merv and his assistant Rose Constable was case-binding rather than the labour intensive style of binding they were doing. 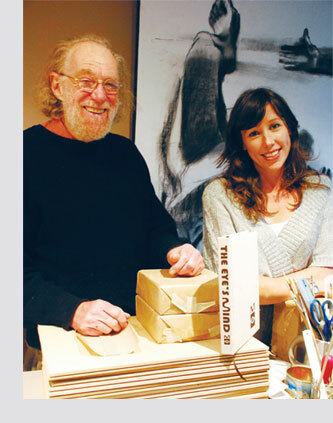 Wendy Taylor saw that Merv was skilled but said it was a huge job that would daunt most bookbinders. But, she says, it’s not just any book, “it’s a terrific book, the inside of it is beautiful”. For the first folio Merv and Rose sourced quality material, such as kangaroo leather, gold leaf and really good quality canvas for the cover. 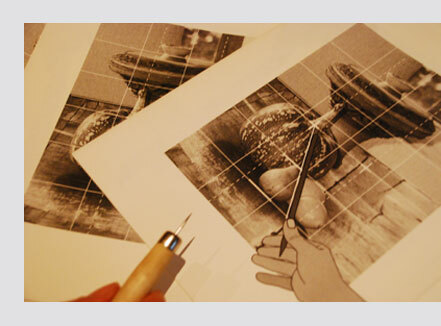 Merv handmade the tools as they needed them including jigs, templates and pressers. “I’m grateful for the help of so many, many people, including my partner Prue Acton, who's believed in this project from day one, and also my assistant Rose Constable whose skill and judgment has been so necessary to this process.” Merv Moriarty. 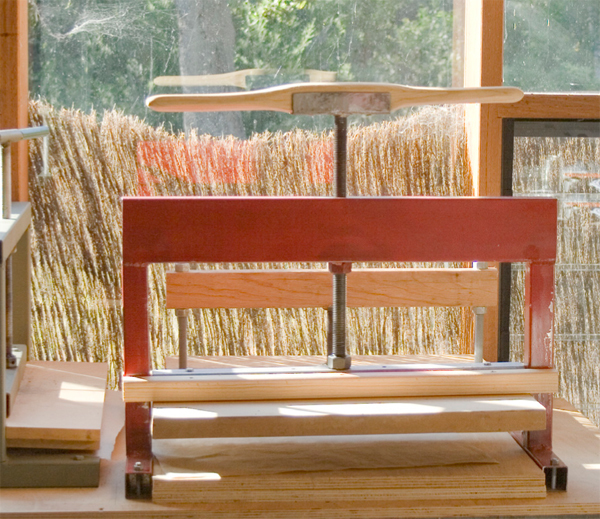 One of the three purpose built presses that Merv made for the production of this book. This press can take up to 10 books at a time.